I’m not much of a cook to begin with to be honest, but I’m actually better at cooking over a campfire than I am over a stove. 2. It’s ok to be foolish, in fact it’s encouraged camp is about having fun and being silly, nobody takes themselves too seriously and it makes for a really welcoming, comfortable environment. I was reminded of that the other night while taking a fitness class – as I was unsuccessfully trying to lift my bodyweight in various ways (you guys, it’s HARD) I was laughing through the pain and total awkwardness with some friends… while the other folks *might* have been a little annoyed with us because we weren’t being serious and hard-core enough. I get it, you’re in beast mode and giving it your all – but laughing with someone attempting and failing multiple burpees never hurt anyone. It’s possible to be hard-core AND have fun… just ask any camp staff!! I usually wear socks to bed at camp, sometimes it’s because it’s cold outside and sometimes it’s because I’m in a cabin and if I have to get up during the night I don’t like wearing bare feet in communal areas. (Ok full disclosure – this applied more to my counsellor days) But even if you’re sleeping on the ground, are covered in dirt, and haven’t had a ‘real’ shower in a few days, the best feeling in all the land is to put on a clean pair of socks. Heaven. It’s actually really healthy for campers to hear a grown up say “Do you know what? I’m not sure what the answer is. But I’ll find out for you” because it sends the message that nobody’s perfect, and that’s ok. Just make sure that you actually find out and follow-up – that’s important. 5. I’m stronger than I give myself credit for. I’ve done/ cleaned up some gross stuff guys. My stomach is strong. I’ve heard small children disclose some pretty devastating things, have had staff go through mental health crises, have had campers (and some parents) scream in my face, be rude, or cry hysterically and I’ve been able to be emotionally strong for them. 6. Washing your hair every day is totally overrated. 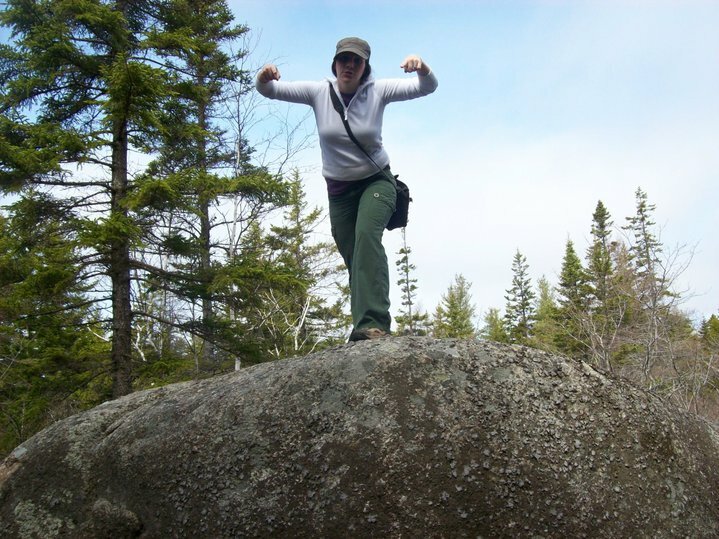 Pre camp life – I showered every day and washed my hair every time I showered. Ulgh. When I worked at my first camp, we went on multi night overnights into the woods and “bathed” in the lake wearing our swimsuits with biodegradable soap that we used to wash our bodies, hair, and dishes! I usually chose sleep over “showers” and would “bathe” quickly during rip-n-dip some mornings… and use the soap slide at the end of the week as a chance to get squeaky clean. This experience taught me that the longer I go without washing my hair, the healthier it is! 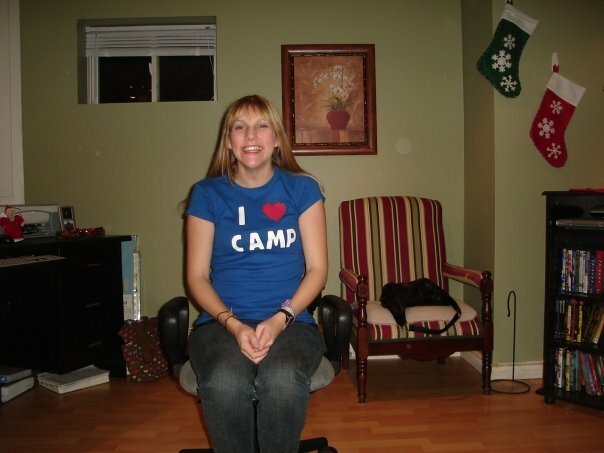 (ok this was back in the early 2000’s… it was not something that was widely discussed at the time) now I only wash my hair twice a week outside of camp. Sometimes less when I’m at camp. 7. You really can convince yourself that you love something if you say it often enough. Hey guys, here’s a good idea… let’s wake up at about 7am, throw on our bathing suites, run down to the lake as fast as we can, all while yelling and cheering, jump in, jump back out again and run back up to the cabin at full tilt while yelling and cheering before we get ready for the day! As you can imagine, not all campers were into this… so as counsellors we’d be SUPER enthusiastic about jumping in a lake first thing in the morning. Cheering, clapping, running circles around campers who were still half asleep, and it worked, our high energy would rub off on the campers and they’d get super into it too. At first I was totally faking it… but eventually I was feeding off of their energy, and they were feeding off of my energy, and it was just one energetic, loud, wet, wonderful circle. 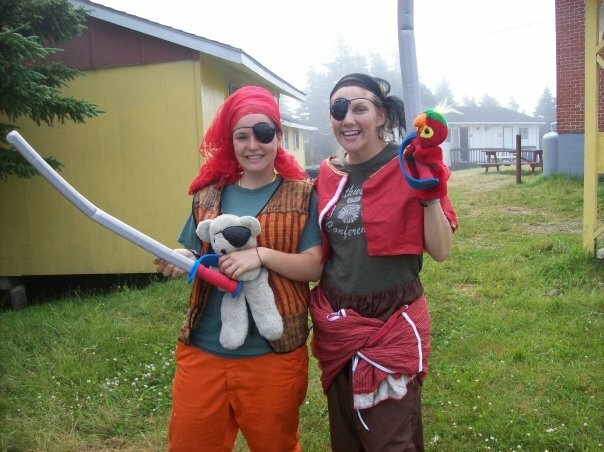 Even for years after I was no longer a counsellor and no longer had to regularly partake in rip-n-dip, if anyone asked what my favourite things about camp were I would list that at the top. Until one day it occurred to me that I was really, really, happy that I didn’t have to do it anymore. 8. It’s ok to ask for help, in fact it’s encouraged. My first summer as a counsellor, my director grabbed me on the second day of camp on my way into the cabin and said “hey, do you have a minute?” I said “yep, as soon as I drop this off to Sally, she’s waiting for me.” I opened the door to the cabin, my co-counselor who was in the middle of something looked at me and said “can you help her?” and tilted her head to a new camper who had just arrived. I said to my director “Can you hang on for just one sec? I’ll be right there” and went to help the new camper who was digging in her kitbag for something. I knelt down and said, “hey, can I help you find something?” We were both leaning over the bag so she looked me in the face, nose to nose, and screamed at the top of her lungs “I CAN’T FIND MY SUNSCREEEEEEN”. That week I learned how to ask for help, without the support of my directors and co-staff I wouldn’t have been able to meet the needs of my camper. 9. We really can make a difference, one person at a time. I’ve worked with staff who were inspired as campers to make camping their career, they have since impacted hundred or even thousands of lives. I’ve seen campers and staff have the courage and strength to disclose very personal information to someone they trusted (but had only known a week). 10. There’s nothing else I’d rather do. What have you learned during you camp experience? Tell me about it in the comment section below.